A Malaysian minister has confirmed Australia's findings that two pieces of plane debris discovered on the coast of Mozambique "almost certainly" came from a Malaysia Airlines flight that went missing just over two years ago. Malaysian Transport Minister Liow Tiong Lai told reporters Thursday that investigators had "managed to verify these two pieces of debris", and that they belonged to a Boeing 777. "Second, from [the] paint and stencil of these two pieces, it is similar to MAS [Malaysia Airlines] airlines paint." Australian Transport Minister Darren Chester said in an earlier statement that "analysis has concluded the debris is almost certainly from MH370." "That such debris has been found on the east coast of Africa is consistent with drift modelling performed by CSIRO, and further affirms our search efforts in the southern Indian Ocean," he added, referring to Australia's federal scientific research agency. The two metal pieces found to be consistent with panels from a Boeing 777 were transported to Australia earlier this month to undergo analysis to determine whether they came from MH370, which vanished while carrying 239 people on March 8, 2014. 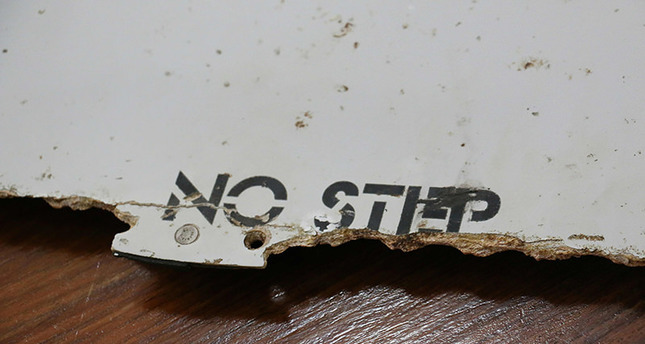 One piece-thought to be a horizontal stabilizer skin from an aircraft's tail-was found at the beginning of March, while the other had been discovered in December by a South African teenager on holiday in Mozambique. In July last year, a piece of aircraft debris-later determined to be a flaperon from an MH370 wing-was found washed ashore on the French island of Reunion in the Indian Ocean, east of Madagascar. On Wednesday, Liow Tiong Lai announced plans to dispatch a Malaysian team to South Africa to scour the country's southern coast, following the discovery last week of a part that could be an "inlet cowling" of an aircraft engine near the town of Mosselbay. The Australian-led search for the plane -- believed to have crashed in the Indian Ocean -- is scheduled to wrap up in July. Australia's transport minister said Thursday that teams would focus on searching a further 25,000 square kilometers (9,650 square miles) of the southern Indian Ocean for the missing flight.